Welcome to blog number two in our social media posting time series. Social media marketers and small business owners are always discussing the best techniques for posting on social media and timing is one of them. 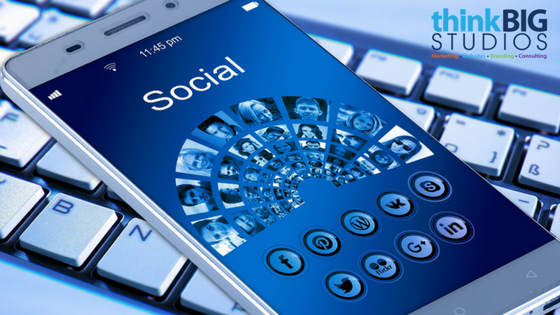 When determining the best posting times for your business and your audience, it’s important to look at each social network individually. Google+ isn’t always the social network that stands out in your mind when you think of social media, but it does have its strong points. Many individuals and businesses use Google+ for posting comments on YouTube where others actively use it as a social network to post content to. Posting at the right time is the perfect way to reach your target audience, while positively impacting your organic SEO. Did you know at least 16 million users post to Google+ at least once a month? Sure, this network may be a bit smaller as compared to Facebook and Twitter, but it can still be great for leaving an impact! Posting Monday through Friday is beneficial with Wednesday being most optimal. Almost any time during the afternoon on weekdays is beneficial to achieve maximum impact. As a business professional, LinkedIn can be one of the most powerful tools to grow your business and network. There are more than 3 million companies on LinkedIn and approximately 238 million users. LinkedIn is a bit different than the other social networks in that it’s an ideal location for B2B relationships to flourish. To effectively post on LinkedIn, be sure to use a lot of clickable content and make use of the powerful search capabilities this network has when connecting with others. Your best bet for posting to LinkedIn is Tuesday to Thursday, which is a bit different than the other social media networks we have covered thus far. It’s safe to post between 8 am and 5 pm on these days with the optimal times being between noon and 5 pm. Pinterest is the most interesting of all the social media platforms because of the long lifespan of its content and millions of active users. It’s important to make an initial connection on Pinterest, to encourage your reader to continue visiting your board for valuable information. Out of all the social networks, Pinterest has some of the oddest posting times to reach your ideal target audience. Saturday is by far the best day to post to Pinterest. Late nights until 3 am, excluding 12am-1 am, are the safest time to post and between 2pm-9pm is the most optimal. Be sure to interact with your users and leave credits to anyone involved in the description of your posts to impact the largest number of users in your target audience possible. Managing your social media and keeping all this information straight can leave you stretching yourself too thin as an already busy business owner. If you’re ready to increase your business using social media, we can help! Contact the team at Think Big Studios to take your social media marketing to the next level.